As part of an order including a total of three machines, the 500th Konecranes Liftace Reach Stacker in Brazil is going to Brado Logistica S/A (Brado). The jubilarian is a TFC 45 H, and considered to be the number one reach stacker choice in Brazil. The new machines, sold through Konecranes’ local distributor Equipamentos para portos LTDA (Equiport), will enable Brado to face the challenges of a constantly growing market. 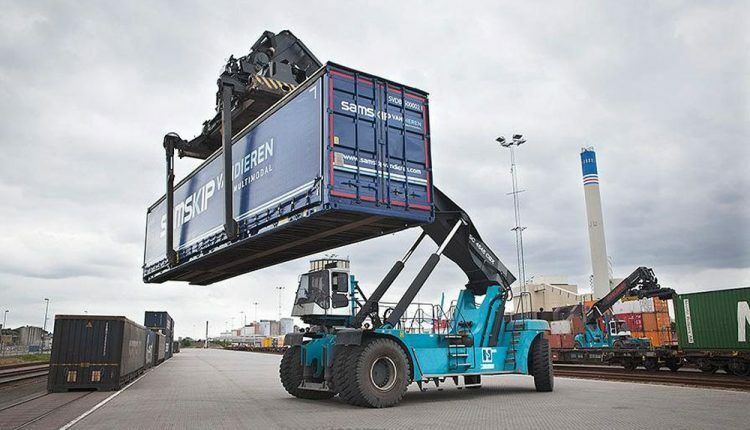 Together with a larger TFC 46 LSX reach stacker, the TFC 45 H will be delivered to Brado’s intermodal terminal in Rondonopolis, in the Central-Brazilian state of Mato Grosso. The third machine, another TFC 45 H, will instead be operating at Brado’s container terminal in Araraquara, 250 km northwest of Säo Paulo. The Konecranes Liftace family includes eight reach stackers and empty container handlers respectively. ”All Konecranes Liftace machines in Brazil are marketed by Equiport, who is one of our most proven dealers around the globe. The 500th reach stacker confirms our successful collaboration, and Equiport will from now on also distribute the products of our Konecranes Lift Truck product line. Thus, our Brazilian customers will, via Equiport, have access to both the value for money Konecranes Liftace machines, and to a smart range of customized lift trucks for optimized performance.” concludes Andreas Falk, Sales & Marketing Director of Konecranes Lift Trucks.